"Thank you for your excellent service.The roof looks brilliant. Please pass on my thanks to your workers. Cheers, "
"Thanks very much to Dave and Wayne! The roof is looking really good!" "Hi - I wanted to say thanks for the job your guys have done. - the roof looks great, they always cleaned up perfectly and I am amazed by the clenaing of the louvretec. I have also paid the account so should be with you by tomorrow. Thanks again. Rhonda"
"The finished roof is a credit to your workers and your Company certainly deserves your claim that you produce excellent work and when there is a problem you put it right. We are sure you do not need references but if we can help you in the future, we would be pleased to recommend your company to prospective clients. Thank you for your excellent service. We wish you and your staff a very merry Christmas and a prosperous 2018. With kind regards and grateful thanks, Roy & Ishbel Huskinson "
"Thank you Wayne Yes, your two men where a pleasure to have on site, respectful, diligent, on time, reliable, hard working, left no messes, polite and very experienced. They did an outstanding job, we couldn't be happier. Kind regards Peter R "
""The company was easy to deal with. The quote was done quickly by a very personable young man. The operations manager organised the job to fit in with our building work and when the real workers arrived, they worked extremely hard and were most pleasant. The roof looks wonderful and we are very happy to recommend this firm."" "Hi there Just wanted to write a line to say how happy hubby and I are about the roof restoration job Auckland Roof Painting did for us. The roof looks brand new and striking in its new colour. It has made such a difference. The guys kept me informed along the way about what was happening when, and Wayne evidently is the “weather guru! !” Thanks again. Megan (in Howick) "
"Please can you thank the guys so much for their hard work. They were fantastic to have around and fitted in around the builders, who I can also say, are very impressed with their work. They’ve done a beautiful job, it looks fantastic, we're thrilled with it. I will be passing on your details to some friends. All the best Emily "
"“My husband and I are stoked with the job Wayne, Eric and the boys did on our roof - it really has transformed our house with the change of colour and has been money well spent giving us a lot more years out of the roof and smartening the place up. Our job wasn't the easiest with a steep roof, separate studio and standalone garage. Such good guys, great to communicate with Wayne a genuinely nice guy who wants to get the job done to a high standard. Will defo recommend to any family, friends and colleagues - thanks again guys!” – Emma and Charles Wallace"
"Hi Wayne, just paid online via ASB - apologies for the delay. I hope the before and after pics come out well. I'm happy to do a recommendation - let me know where/how (I read online your response to some complaining muppet before going ahead with you guys - I'd be happy to put a word in favour of you!!!). Kind regards, Cyrus"
"Hi Wayne, Yes, we were very happy with the work completed by your team. Tyler, provided us with the quote and an understanding of what was required and the timeframe for its completion. 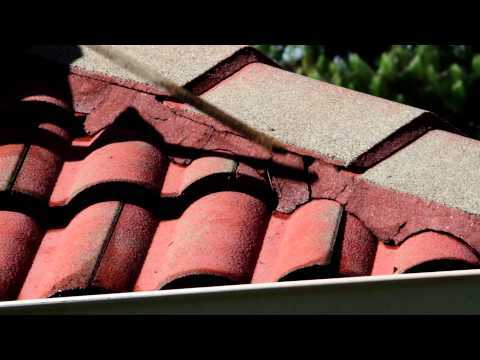 When the job was allocated to be done, the roofer was competent and professional. He displayed a good work ethic and was pleasant to deal with. We would be more than happy to use your business again. Kind regards, Lawrence Thorpe "
"Really pleased with the new painted roof which looks like new. Wayne was very helpful and accommodating with questions, and updated us throughout the process. Thanks! Laura "
"Great job done by this Company and I would not hesitate to recommend them. The prompt communication and start following our initial inquiry was fantastic. Eric the painter who undertook the job had great pride in his work and as he said he was meticulous. The results which we are very happy with illustrate this. Thanks guys for a great effort. regards Peter and Kathy Dunn "
"I jumped up on the roof and had a look, from what I can see the guys did a beautiful job, thank you. No further leaks to date :) Thanks for all your help! Andrea "
"Our roof looks great and we would like to thank the two guys, Josh and Dave, they were very polite and kept us in the loop with what was happening due to the changing weather conditions and went about their work in a professional manner at all times." "Thank you for your excellent service.The roof looks brilliant. Please pass on…"